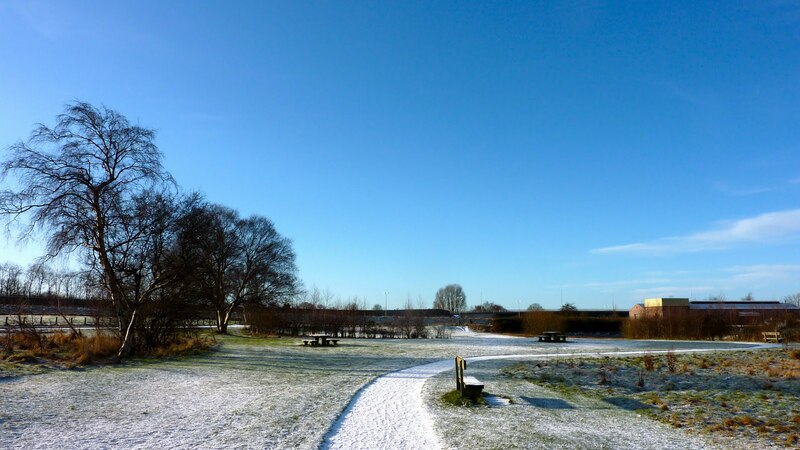 Don’t miss this Winter Craft, Gift and Food Festival this Sunday at the Lamp, Brownhills! Don’t miss this Winter Craft, Gift and Food Festival this coming Sunday at the Lamp, Brownhills! Don’t forget – a great night of music and dance for Back The Track this Saturday! Just a reminder that Brownhills Community Association and the Back The Track project will be hosting a fundraising concert at the Community Centre in Brownhills on this Saturday, March 10th 2018 and tickets are just £5 with proceeds to the greenway project on the old rail line through Brownhills. 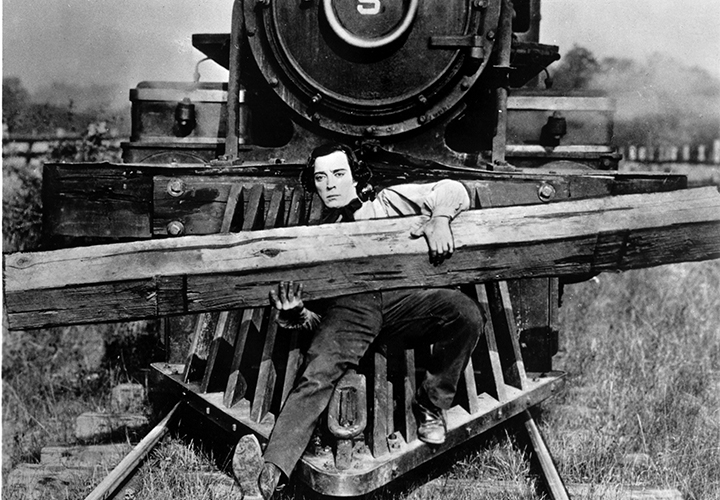 Have a great night of music and dance – and Back The Track! Just a reminder that Brownhills Community Association and the Back The Track project will be hosting a fundraising concert at the Community Centre in Brownhills on Saturday, March 10th 2018 and tickets are just £5 with proceeds to the greenway project on the old rail line through Brownhills. 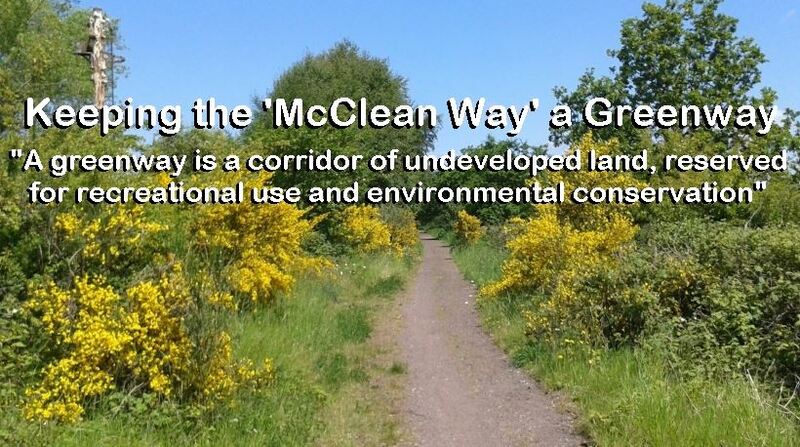 I’ve been contacted by the Clayhanger Kid himself, Brian Stringer who’s asked me to let you all know that Brownhills Community Association and the Back The Track project will be hosting a fundraising concert at the Community Centre in Brownhills on Saturday, March 10th 2018 and tickets are just £5 with proceeds to the greenway project on the old rail line through Brownhills. 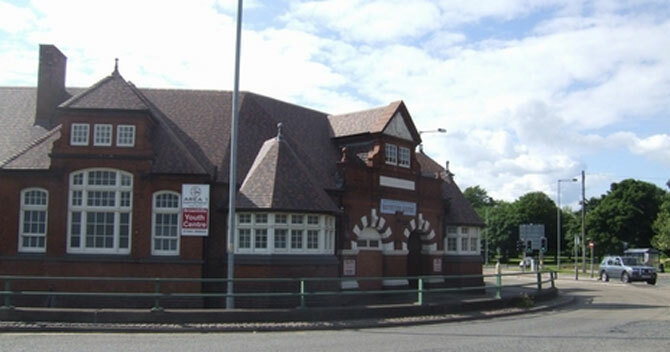 A new year at Brownhills Community Centre, 125 years old in 2018! Brownhills Community Association have been in touch, asking me if I’d share their latest newsletter for January 2018 here on the blog – and as ever, I’m happy to do so. 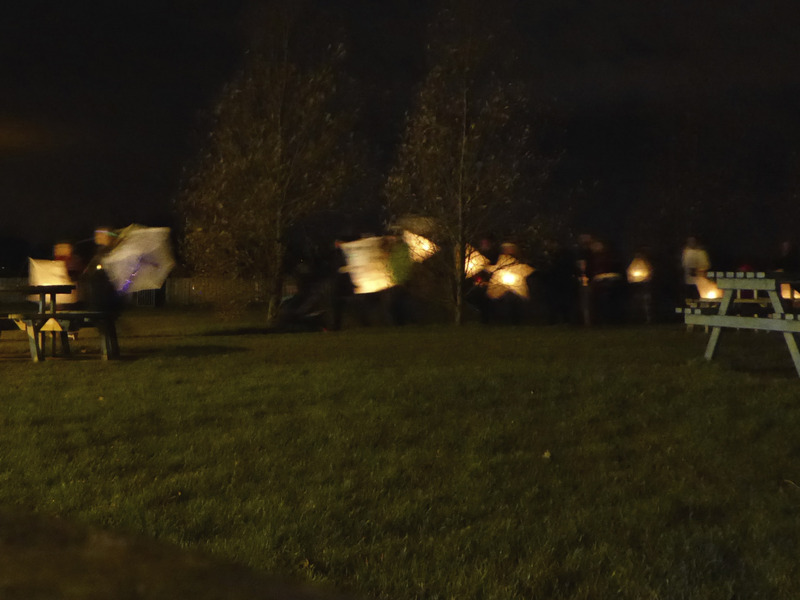 Brownhills Community Association have been in touch, asking me if I’d share their latest newsletter for December 2017 here on the blog – and as ever, I’m happy to do so. 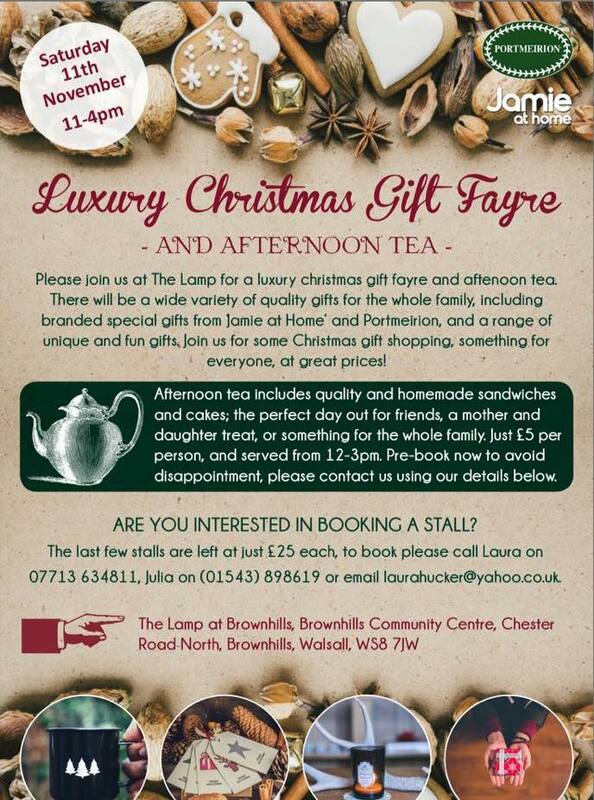 Don’t miss this luxury Christmas Gift Fair this coming Saturday at the Lamp, Brownhills! Old pal of the blog Laura Tucker has been in touch to let me know that she’s organised a lovely Luxury Christmas Gift Fair, which will take place this Saturday, 11th November 2017 at the Lamp Arts Space in Brownhills Community Centre from 11-4pm. There’s a very interesting meeting taking place at 7pm Monday, 23rd October 2017 – that of Brownhills Neighbourhood Watch (but is open to anyone interested in local crime issues). Brownhills Community Association have been in touch, asking me if I’d share their latest newsletter for October 2017 here on the blog – and as ever, I’m happy to do so. It’s all going on at Brownhills Activity Centre July-September 2017! 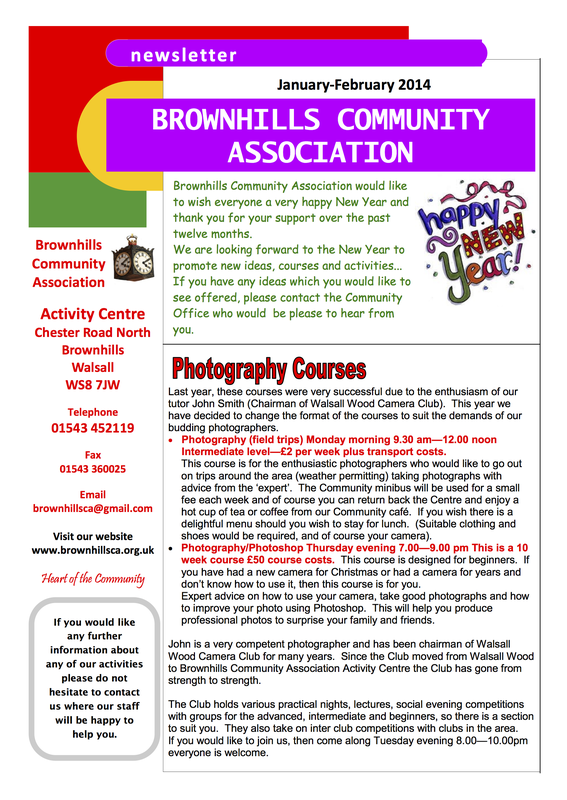 Brownhills Community Association have been in touch, asking me if I’d share their latest newsletter for July-September 2017 here on the blog – and as ever, I’m happy to do so. In light of recent events, there’s a very interesting meeting taking place at 7:30pm this coming Wednesday, 2nd August 2017 – that of Rushall, Sheffield and Pelsall Neighbourhood Watch – and there’s a specific invitation to Brownhills residents. ssociation have been in touch, asking me if I’d share the fact that their Annual General Meeting (AGM) takes place this Monday, 26th June 2017 at 6:30pm. There’s a very interesting meeting taking place at 7:30pm Monday, 22nd May 2017 – that of Brownhills Neighbourhood Watch (but is open to anyone interested in local crime issues). BRD Sports and Social club newsletter, 1954 – what do you remember? 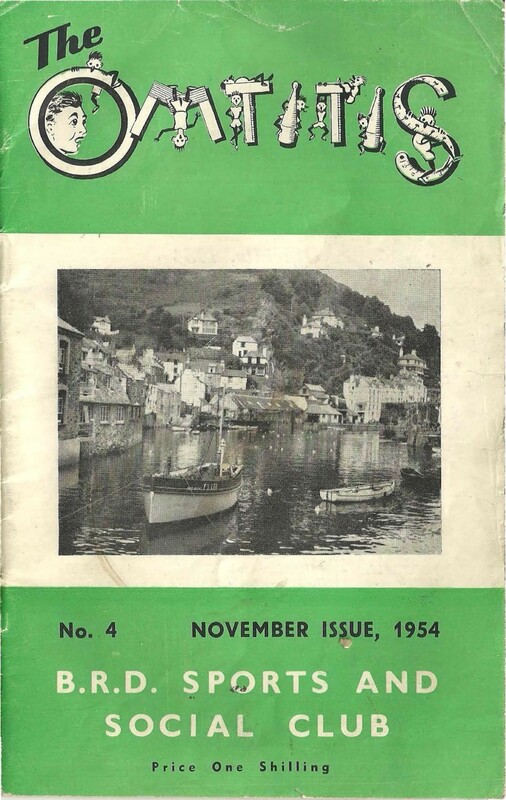 A lovely period piece reaches me from reader David Hughes, who’s been kind enough to scan a complete November 1954 copy of ‘The Omtitis’ magazine, which was the BRD Sports and Social Club newsletter. It’s all going on at Brownhills Activity Centre April-June 2017! 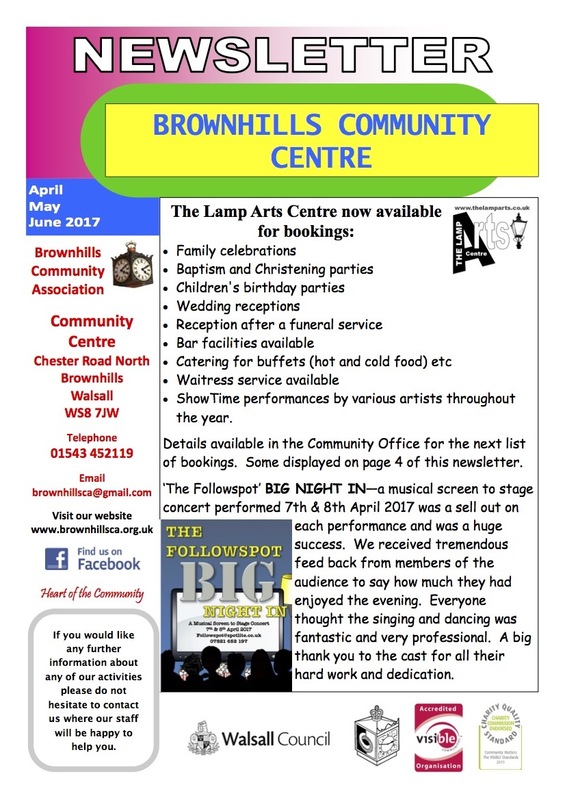 Brownhills Community Association have been in touch, asking me if I’d share their latest newsletter for April-June 2017 here on the blog – and as ever, I’m happy to do so. Chasewater Railway 2017 season starts today! 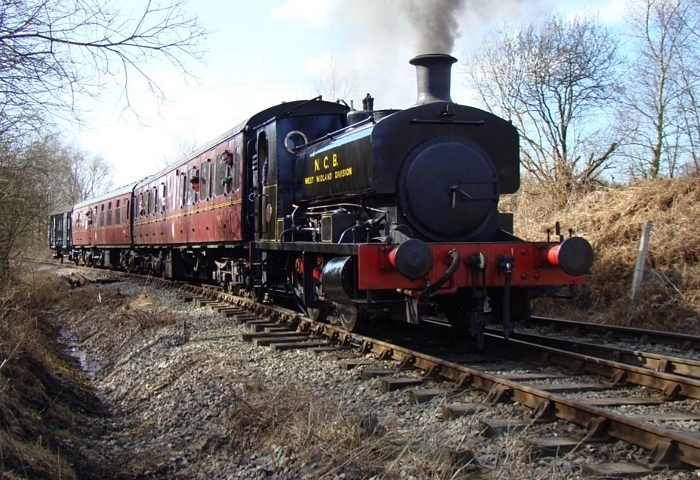 I’ve noticed that Chasewater Railway – the little gem of a preserved industrial railway right on our doorstep is re-starting passenger services this weekend after the winter shutdown. I’d just like to make a quick observation if I might, as I had very positive feedback from yesterday’s meeting of Brownhills Neighbourhood Watch at the Activity Centre, but just one thing seems to have cast a shadow on the evening. 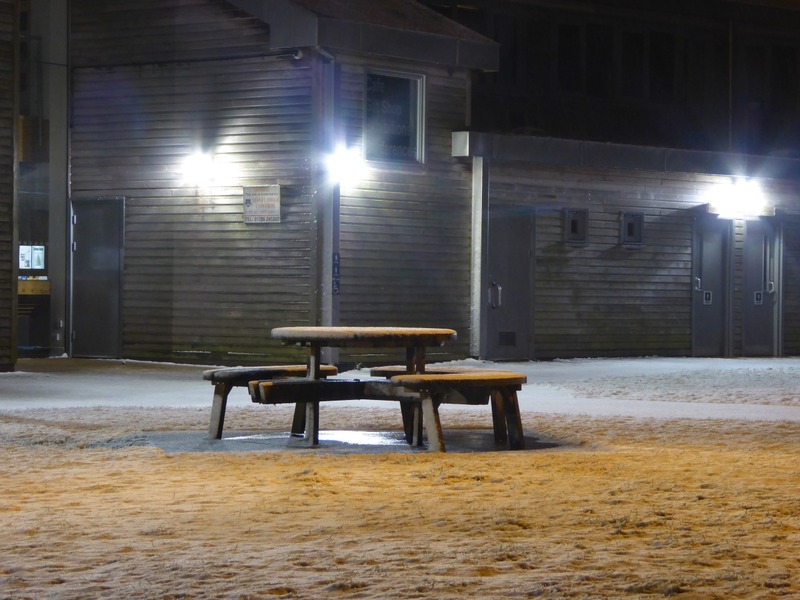 Concerned about local crime issues? Meeting tonight in Brownhills! In light of recent events, there’s a very interesting meeting taking place at 7pm this evening Monday, 16th January 2017 – that of Brownhills Neighbourhood Watch. Concerned about local crime issues? Meeting this Monday in Brownhills! In light of recent events, there’s a very interesting meeting taking place at 7pm this coming Monday, 16th January 2016 – Brownhills Neighbourhood Watch. 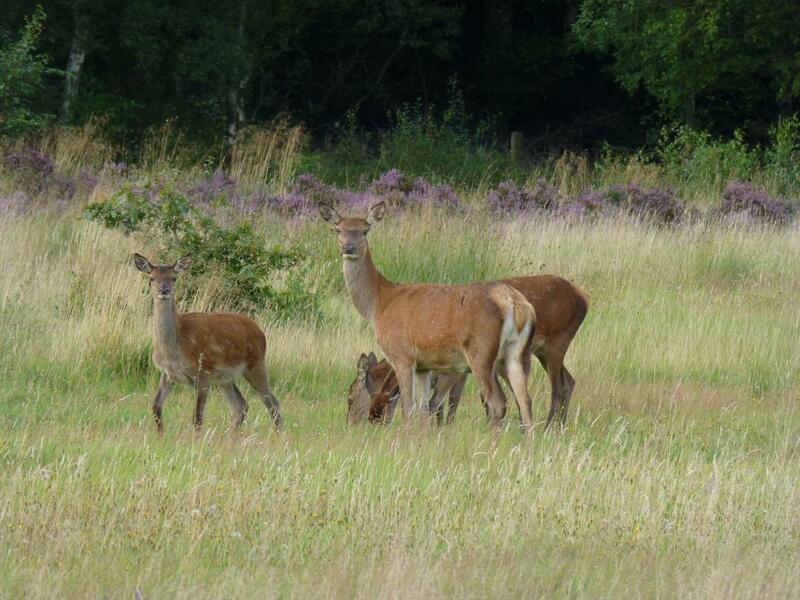 Three museums day this Sunday – linking Cannock Chase with Chasewater and Aldridge! There’s a great thing happening this Sunday (7th August 2016) when a bus service operated by classic vehicles will operate between Aston Manor Road Transport Museum in Aldridge, Chasewater Railway and the Museum of Cannock Chase. 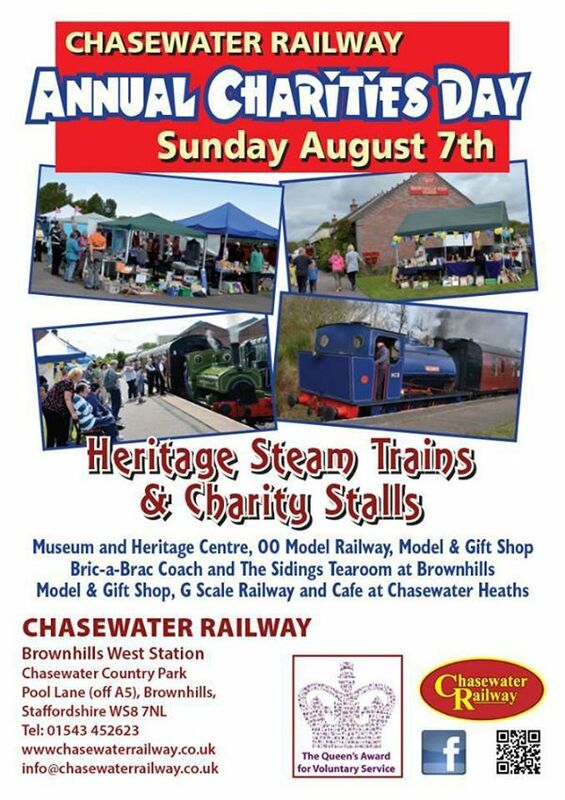 Chasewater Railway – the little gem of a local preserved industrial railway is this Sunday (7th August 2016) staging it’s annual Charities Day, when the railway will be operating with steam trains, and there will be charity stalls and activities at Brownhills West Station. 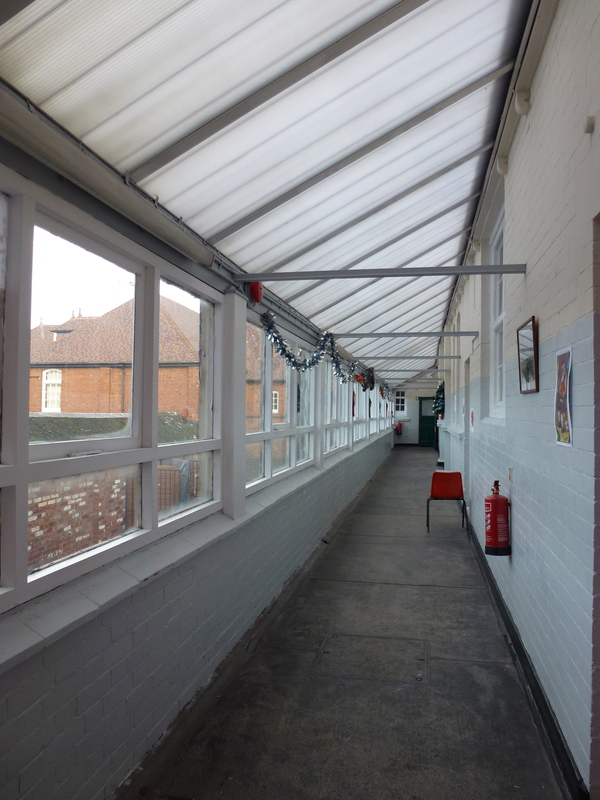 Brownhills Community Association have been busy, and recently got in touch to point out that they have a great new arts and performance space in the refurbished former school hall which is now called The Lamp. 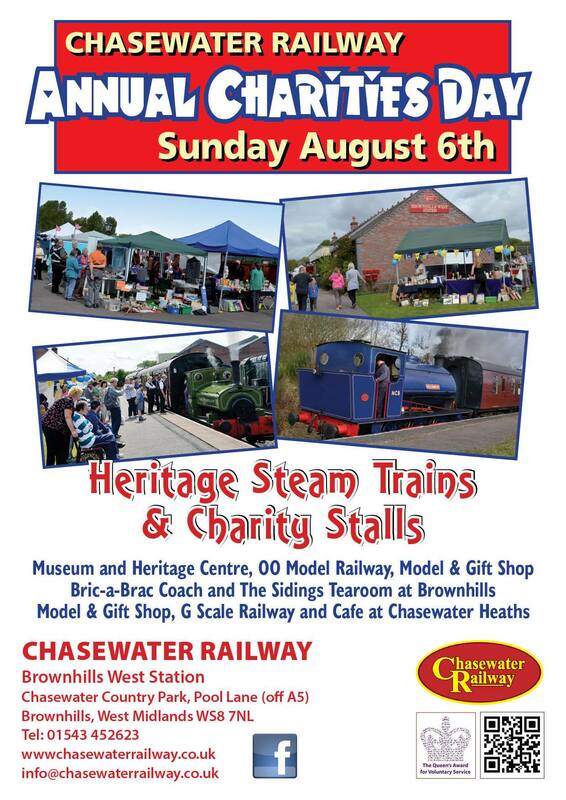 Chasewater Railway: Burton Brewery Locomotives Day this Sunday! 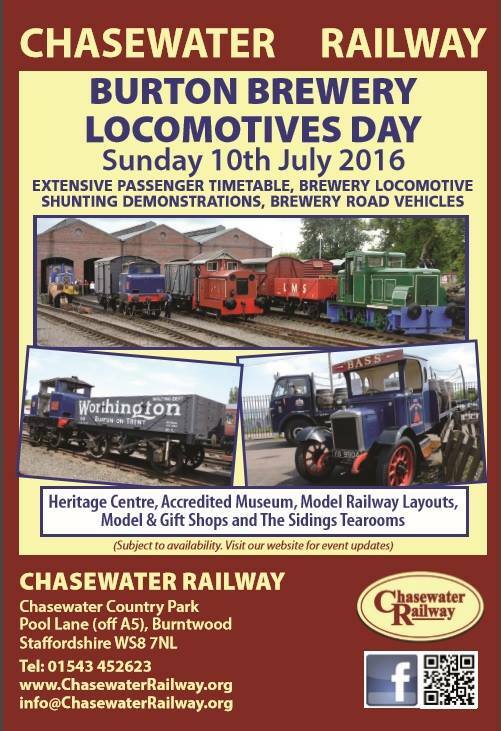 Chasewater Railway – the little gem of a local preserved industrial railway is this Sunday (10th July 2016) staging a Burton Brewery Locomotives Day, which can be combined via a link-up heritage bus service with the Aston Manor Transport Museum open day in Aldridge, for a total transport blowout! Chasewater Railway: a great Fathers Day treat! 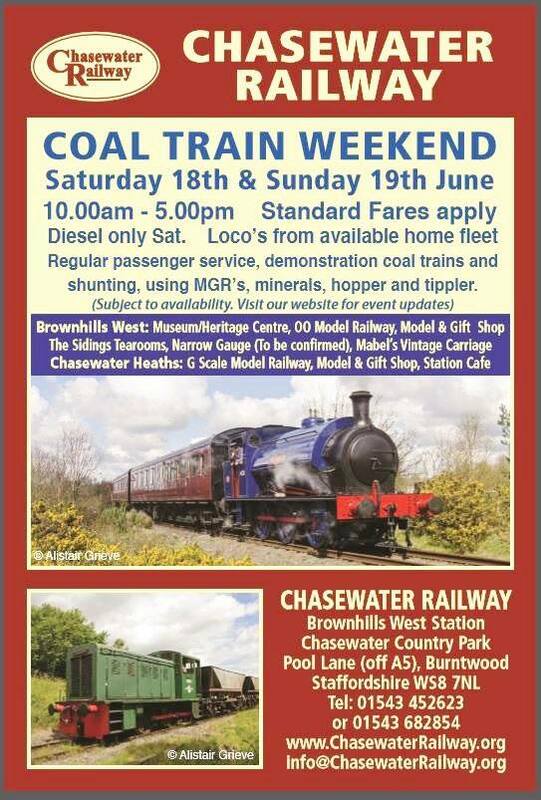 Chasewater Railway – the little gem of a preserved industrial railway is this this weekend staging a coal train special event, which sounds just the thing for train-loving dads and their families who may be looking for a special treat for the old fellow. 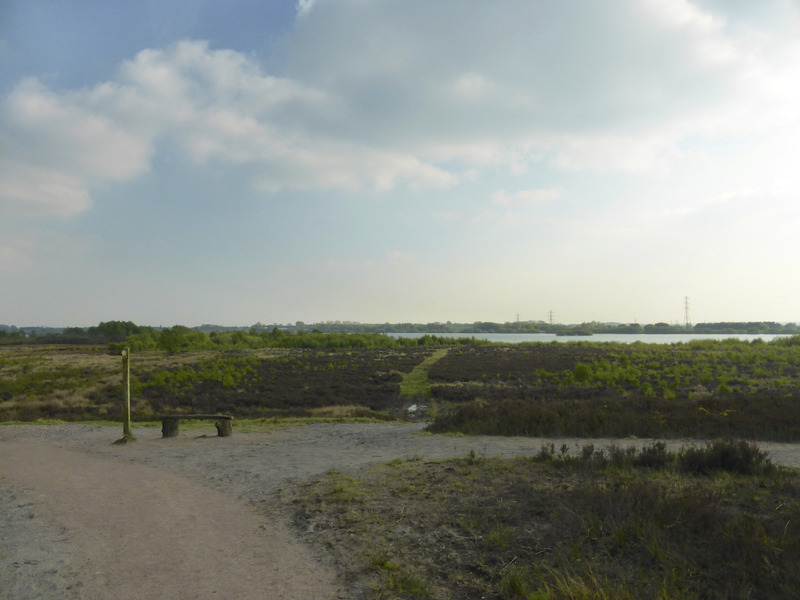 Chasewater Railway: award winning, and on your doorstep! I’ve noticed in the last few days that Chasewater Railway – the little gem of a preserved industrial railway, running steam and vintage diesel trains around Chasewater Park- has won royal recognition for it’s work. 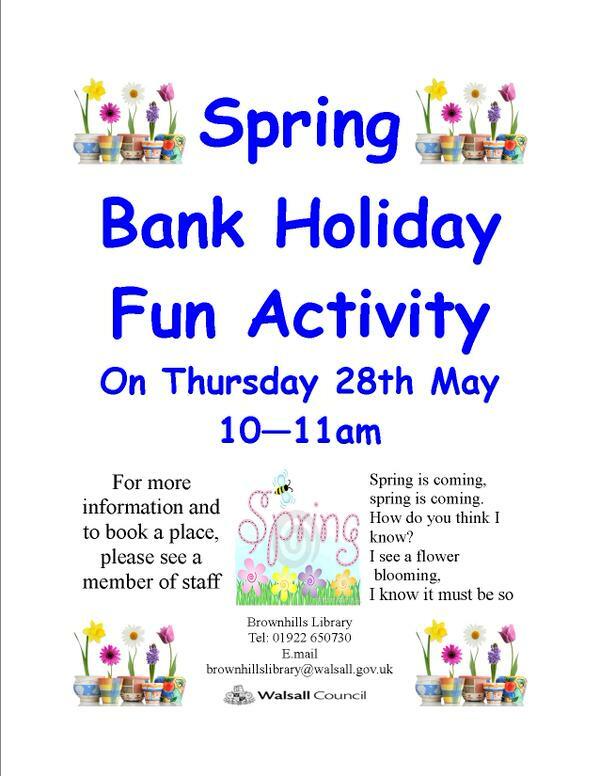 It’s all going on at Brownhills Activity Centre April-June 2016! 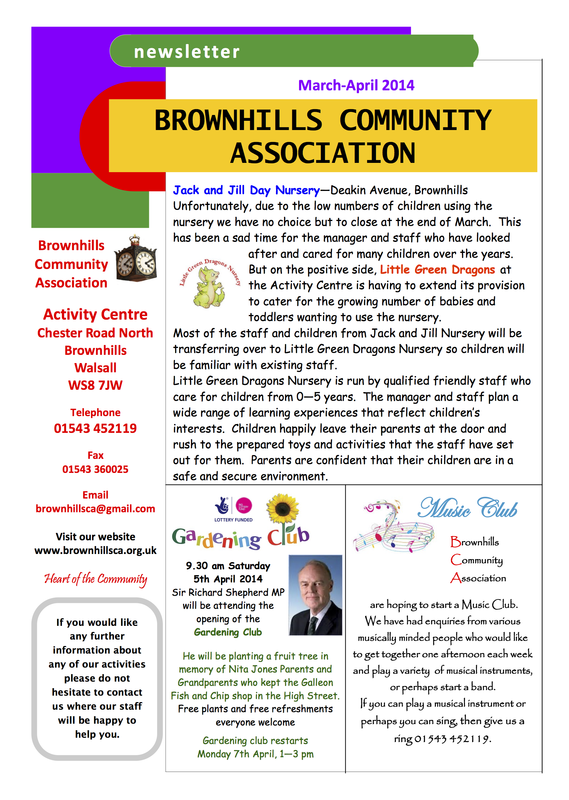 Brownhills Community Association have been in touch, asking me if I’d share their latest newsletter for April-June 2016 here on the blog – and as ever, I’m happy to do so. It’s all going on at Brownhills Activity Centre in 2016! Brownhills Community Association have been in touch, asking me if I’d share their latest newsletter here on the blog – and as ever, I’m happy to do so. 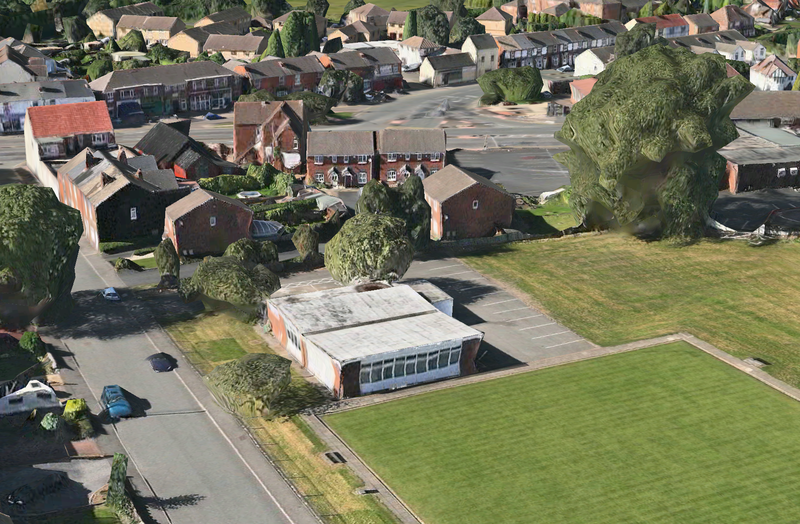 Here’s a late one just in – if your kids are at a loose end, there’s a fun activity event at Brownhills Library in the Parkview Centre, just by the Miner Island this morning from 10-11am. 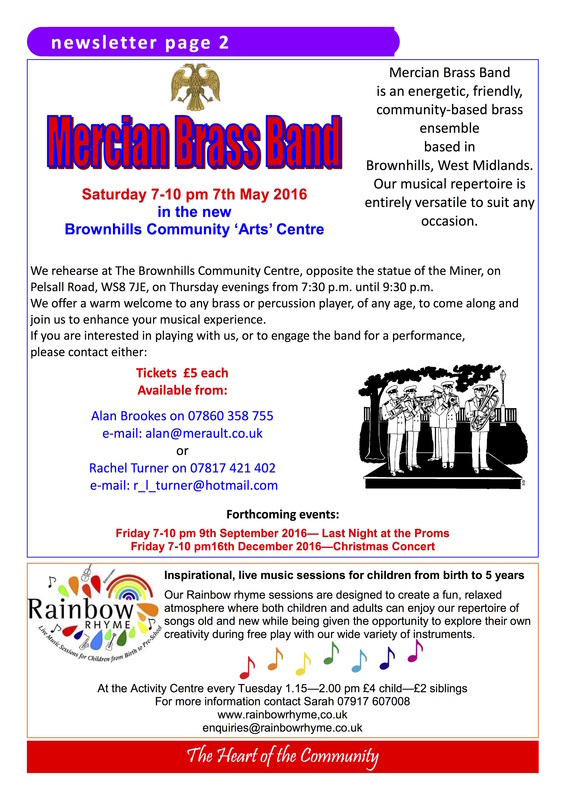 Brownhills Community Association – Standard bearers for our town! Bonita Clayton from Brownhills Community Association has been in touch to let me have a copy of their current newsletter, asking me if I’d share it on the blog for readers to peruse – of course, that’s no problem at all.